Property in Turkey: The January edition of our online magazine is ready! The January edition of our online magazine is ready! Welcome to this 2nd edition of our online magazine. We are very pleased with the positive reception that our first magazine got and hope you will enjoy this first magazine of 2018 just as much. As always we have collected the best stories and information from our blog as well as social medias and added beautiful properties and other relevant information for those of your following the property market in Turkey. 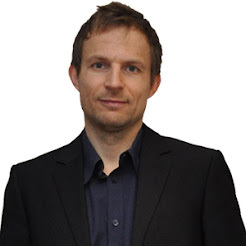 Also we have added a new section to the magazine that we call "Recommended by 2Base". Here we gathered a list of places in and around Alanya that we believe are worth visiting. We have done so without looking if the place is big, small, well-known, unknown, expensive, cheap, Turkish, international or is found at page 1, 2 or nowhere in the tourist brochures. Our hope is that the list can be an inspiration for you to try out new places and have even more good experiences here in Alanya. Should you know of a place that deserves to be on the list we are more than happy to hear from you. What the crystal ball has to say about the coming year no one knows and we can only guess. 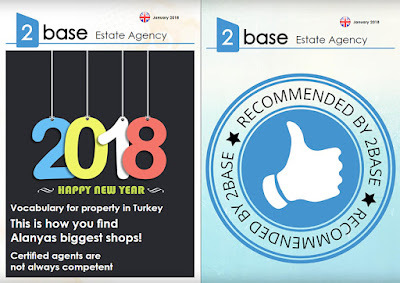 What we do know is that 2Base is celebrating our 15th year as estate agent in Alanya. At our place the coffee is always hot and everyone is welcome for a chat about whatever is on your mind. Before you dive into the magazine and start reading we want to take the chance to wish you all a happy new year and we hope to see you all very soon in Alanya. On behalf of everyone here at 2Base.